GrowthWheel is a visual toolbox for decision making and action planning for startup and growth companies. It helps entrepreneurs build their businesses through a simple action oriented process that stays true to the way most entrepreneurs think and work. Below we will give you a quick introduction to the GrowthWheel. Everything about business in one single toolbox. 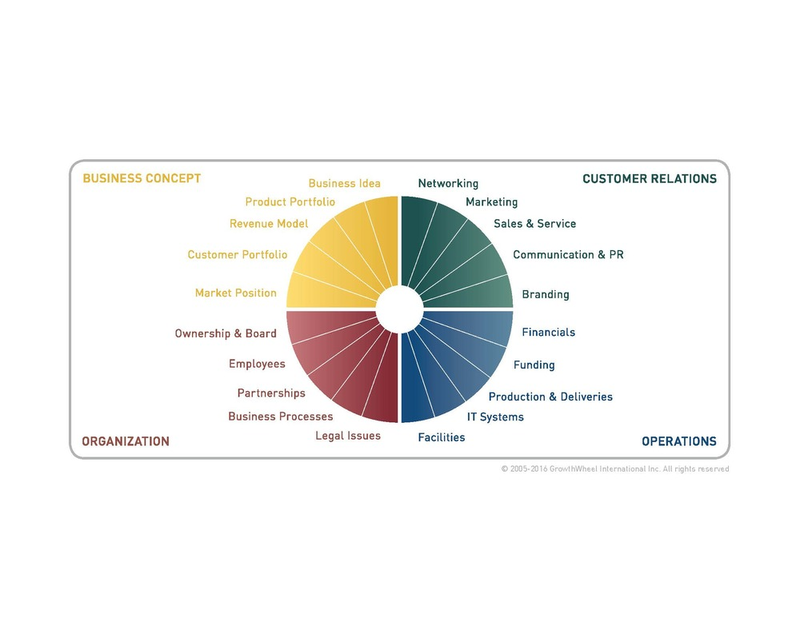 GrowthWheel was designed around the observation that all businesses – in all industries and life stages – have four lasting challenges in common: They must create an attractive Business Concept, build a strong Organization behind it, develop lasting Client Relations, and do so while maintaining profitable Operations.